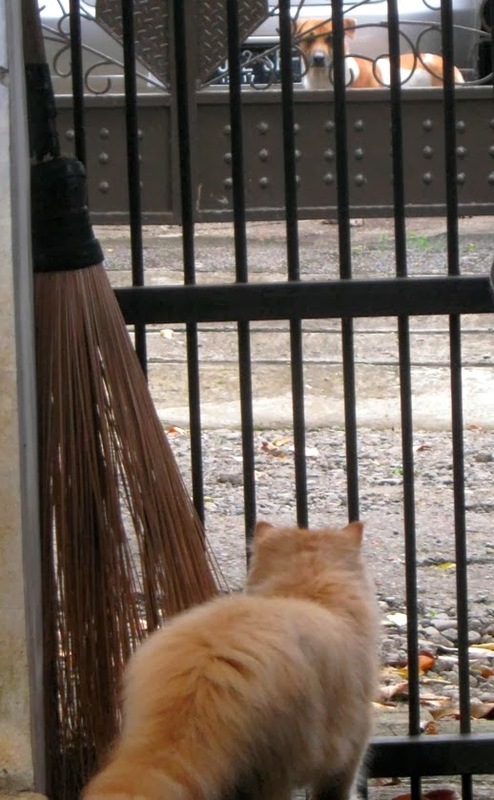 Our cat –Mocca- had an an eye contact with the dog’s front door. I didn’t know what happened between them, but the dog never barking at Mocca again while he’s still barking at other cats. Looks like Mocca made a new friend! Cute photo. Lina, thank you for linking up to Saturday's Critters. Happy weekend! Hi Lina, sorry to have deleted your comment in my site as you put a back link with it. I hope next time links are omitted. Thanks for your visit. It seems they have come to some kind of understanding.